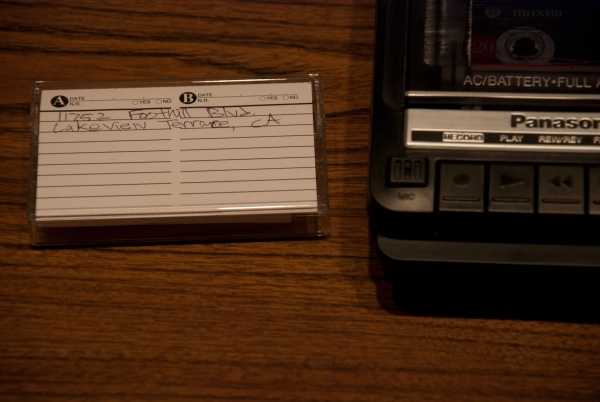 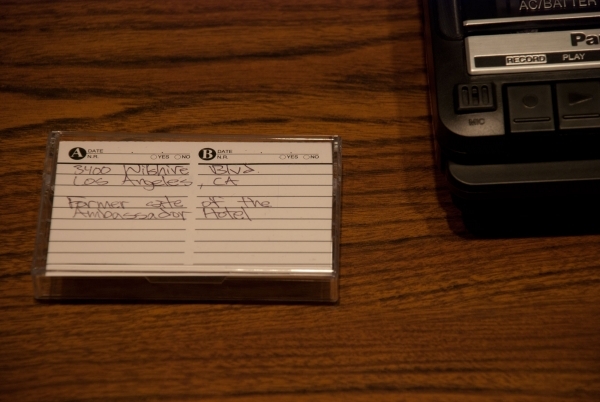 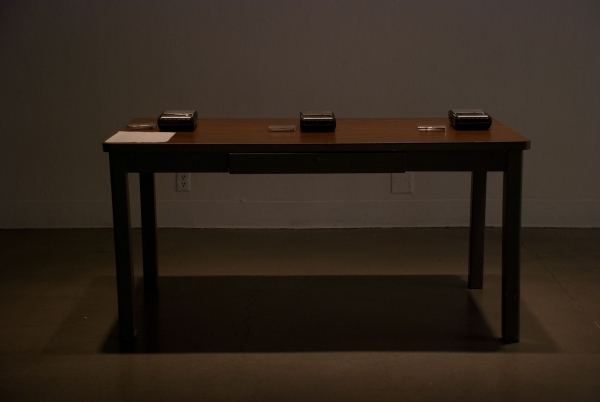 Detail: 2011, Portable cassette : player/recorder, cassette tapes. 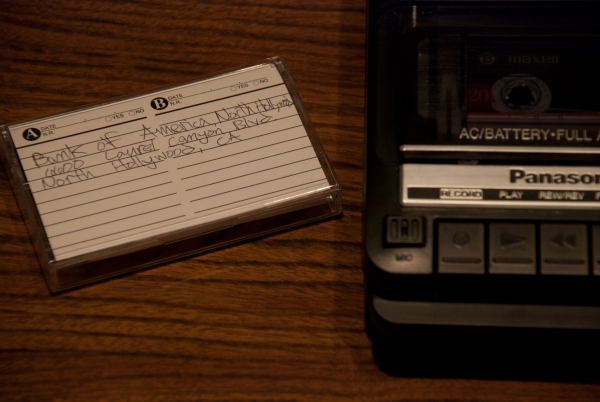 Detail: 2011, Portable cassette: player/recorder, cassette tapes. 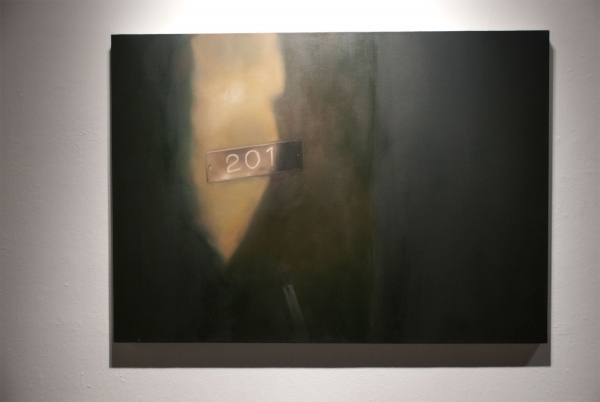 Occluded Alleyway 1 (POV Shot),: 2011, Oil on Panel, 16 x 20". 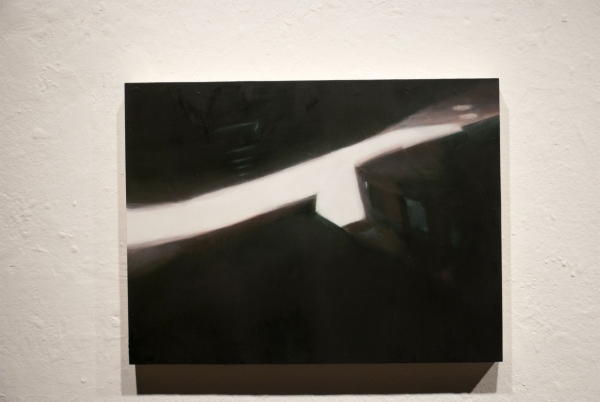 Occluded Alleyway (POV Shot),: 2011, Oil on Panel, 16 x 20". 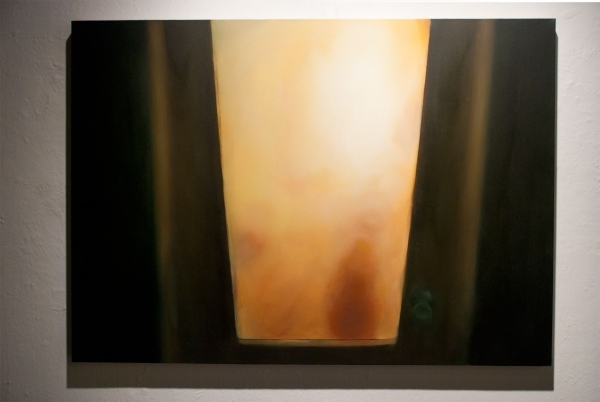 Frosted Glass, 2011, Oil on Canvas,: 36 x 48". 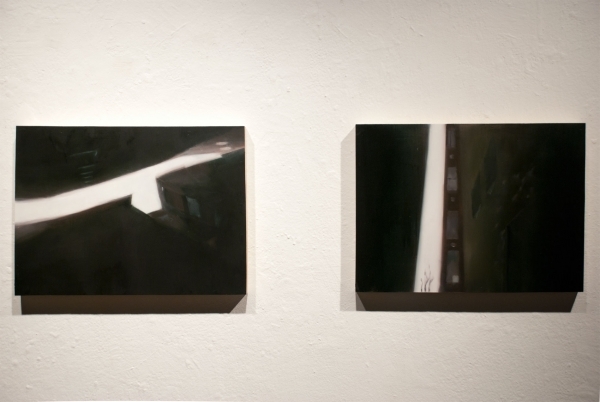 201, 2010, Oil on canvas, 36 x 48". 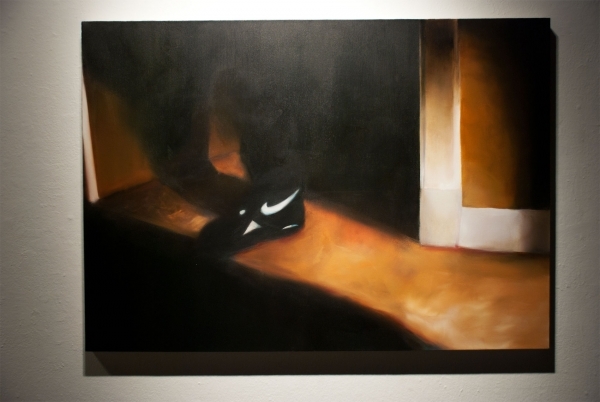 Sneaker, 2010, Oil on canvas,: 36 x 48". 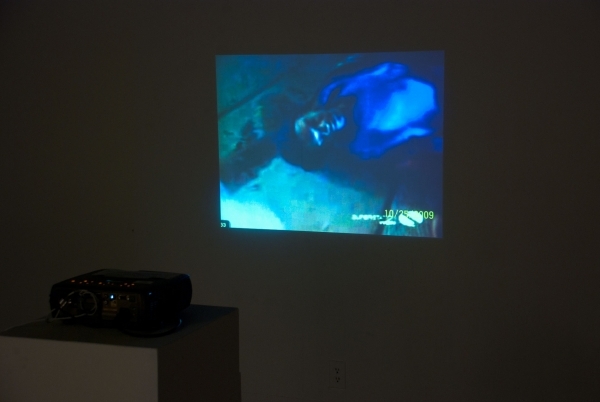 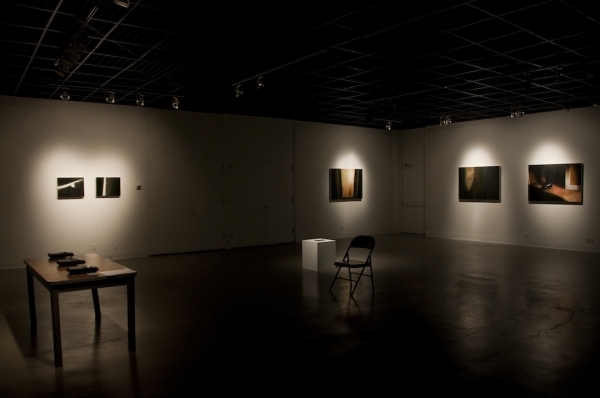 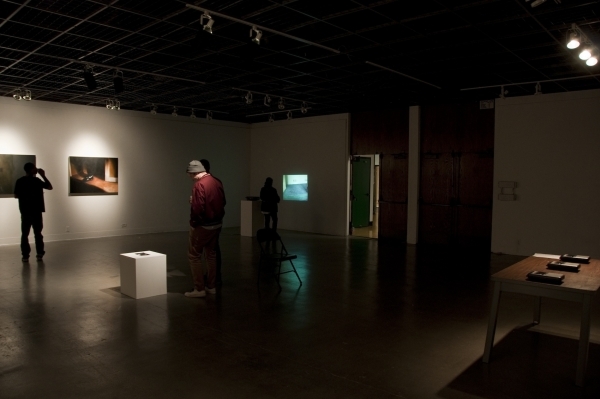 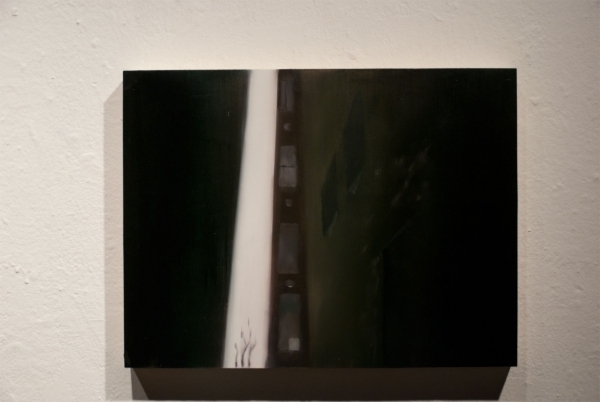 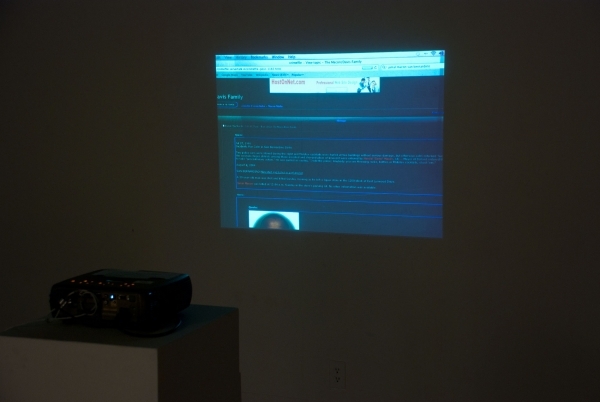 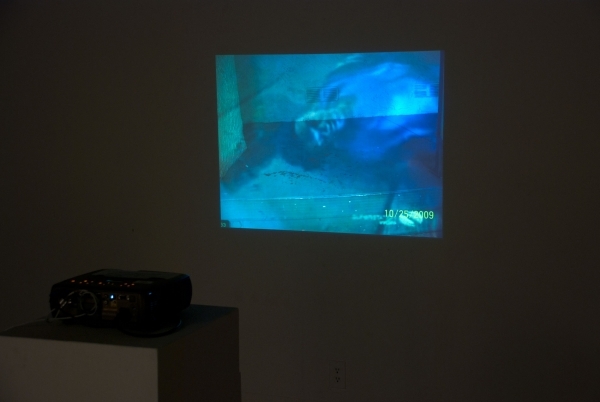 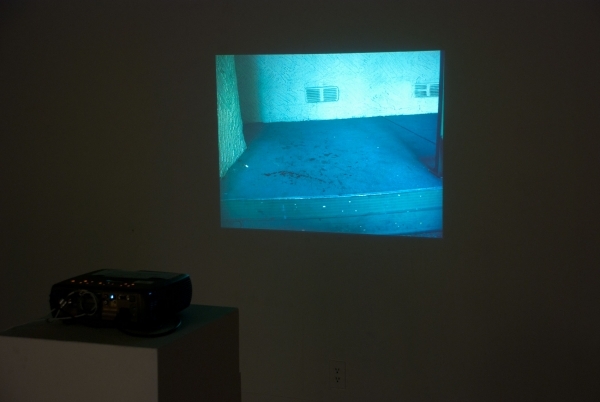 Slideshow, 2010, projection. 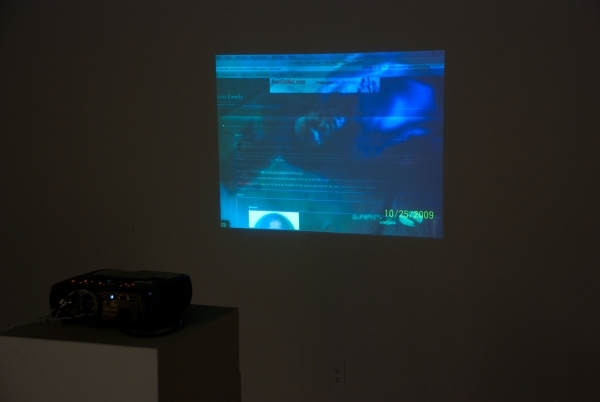 : 3 images on continuous loop.